description – What are the best RV gadgets available? We review the top 40 must have gadgets for your RV. 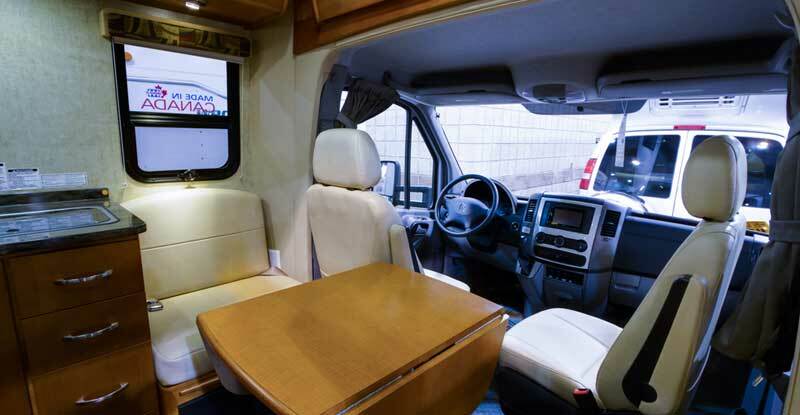 There is no lacking of RV gadgets gifts online but how do you choose the right ones? Going over thousands of products is tedious, and there is no reason for you to do that. As a fellow RV lover, I know how important it is to be properly equipped on the road, and that is why I made this list. A Quake Hold enables you to showcase your favorite collections safely on your RV. Just add a bit of this putty and the item remains in place. And when the time comes you want to remove the object, just give it a little twist and it comes off easy. Need to reposition that painting? Do you want to relocate that family photo so it is closer to your seat? Want to hang that sculpture on the wall but afraid of breaking it? No worries as Commander Strips will do the job. Just pull the tab and the strip comes off. Use the Command Hooks to hang up your shirt, jacket, bag and other belongings. They come in different sizes and shapes too. And if you want those hooks waterproof, they’re available as well so it’s nice to have them onboard especially if you carry a lot of stuff. 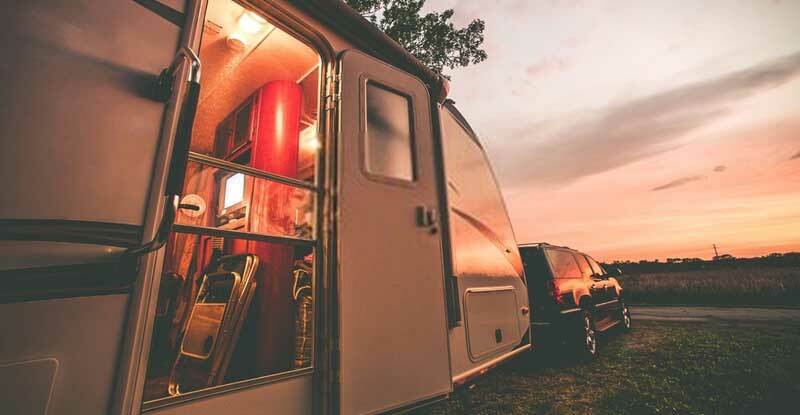 Nothing personalizes an RV quite like vinyl wall art, so why not grab a few? Whether you like them colorful or subdued, classic or modern, there is one to suit your palate. These are widely available at Ebay and Etsy and will look great on walls and cabinets. Curtains not only add class to your RV and make it homey, but they also block out the heat and glare. Curtains come in all colors and styles so finding one to suit your style won’t be a problem. A slow cooker cooks food but doesn’t generate too much heat, and slow cooker liners add to the convenience. Put the liner on the pot, add the ingredients and it’s set. Dispose of the liner when you’re done eating and the pot is spotless. You can grill or fire cook food in Reynolds Wrap, and it makes food portioning convenient. Best of all you can get rid of the wrapping when you’re done so no need to clean up. For those on the go these are essential. Want to do some baking while on an RV? Get a portable countertop mini oven. With this you’ll be able to bake and grill all kinds of foods. A mini oven is versatile enough that you can dispose of other cooking apparatus and save space. Any of these two will come in handy if you’re going to spend considerable time in your RV. From cooking rice, steaming, browning and pressure cooking, these are all purpose cookware that are simple to clean up and use. Are you into solar power and energy? Then get yourself a solar powered oven. These are portable, foldable cookers that should fit in nicely in your RV kitchen. Set up is quick too so you’ll be cooking with sun power in no time. A blender is ideal for smoothies, stirring, chopping and whipping up all kinds of foods. They are available in various sizes, shapes and specs so it should be easy to find one that is suitable for your RV. If countertop space is limited, get a front sink cutting board. You attach this to the counter and voila, extra space to cut, chop, dice and prepare your food. With space at a premium in most RVs – and even home kitchens - a cutting board makes sense. With a shower squeegee you’ll prevent moisture buildup and keep your shower in tip top shape. Not only does a squeegee keep your shower dry but also keeps it clean for longer periods. Cheap but effective, they’re something you’ll want to keep around. This product is great for windshields, but it is just as useful for removing stains on your shower door. Use this product on a regular basis and it will keep mildew from building up in your shower. A collapsible tub is the ideal companion for all purpose cleaning. As the name suggests, you just pop the tub up to use and pop down when you’re done. Aside from washing plates the tub is also suitable for foot baths. By mixing a bit of dishwashing soap with water, you get an instant dish cleaner. Put the dishes in the sink and spray. It’s just as effective as regular pre-soak and also conserves water. Simple, efficient and saves on water expenses. One of the most frustrating things about washing clothes is you have to sort them out to prevent dye from mixing. With a Color Catcher that won’t be a problem anymore. Toss all your clothes in the washer and add the Color Catcher as it keeps dye from spreading to other clothes. This product eliminates stain on carpets, fabrics, surfaces and everything in between. Just wet the object a bit, rub Simple Clean on the dirty, stained part and wash. That’s it, stain’s gone. This is something you’ll find useful to quickly clean underwear and socks. Put your laundry in the bin, add some cold water and some soap. Shut the lid tight, place it in your shower and go about your RV business. As your RV moves it moves your clothes and the soapy water in the bin. Rinse them, dry and they’re ready to wear again. The name is self explanatory, and it’s useful for arranging supplies, tools, footwear and other stuff. You can mount the organizer on a wall or on a door, it’s up to you. You can also divide the organizer depending on your needs. Bumping your shin on a sharp corner is annoying, but bumping your head could lead to a cut or something worse. Corner guards are designed to protect you and anyone else on your RV, and the low price means there’s no excuse not to have them. No long explanation needed for this one. Get two fire extinguishers and put one close to the engine and another in the kitchen. Before you go out, learn how to use the fire extinguisher so if there’s an emergency you’ll know what to do. A lot of RVs have this feature built in, but even if yours doesn’t it’s easy to install one. If your RV runs on diesel and your quarters is not far from the engine, make sure you install a carbon monoxide alarm. A paper shredder is necessary for two reasons. One, it keeps your papers from falling in the hands of burglars in case of a break in. Second, it serves as a quick way to get rid of paper you no longer need and just using up space. A dehumidifier is necessary if you spend a lot of time in your RV. Moisture causes all kinds of problems, so get a dehumidifier so the air stays dry all year round. There are a lot of portable units available that will nicely fit in your RV. No list of RV gadgets is complete without mentioning a cell signal booster. If you’re camped out in the woods and don’t have a signal, what is the best option? That is where a cell signal booster comes into play. Whether it’s to make an emergency call or take one, a cell signal booster is essential. A Wi-Fi booster set atop your RV boosts the Internet signal. If you plan to browse the web a lot while on the road, a signal booster is mandatory. A booster amplifies your Internet connection, so if you hate long downloads get a booster. Need to charge your phone but all the connections are used up? Or maybe you’re into solar energy. Whatever the case may be, there is a solar mobile charger available. Whether it is for smartphones, laptops or tablets, you can use this device to harness the power of the sun. With a Bluetooth speaker you don’t have to worry about wires and cables getting entangled in your RV. Not only is it more convenient, but these speakers work with mobile devices, radios and laptops. And since they’re wireless you’ll be able to take the speaker anywhere you go. Why put up with the stuff they’re playing on the radio when you can listen to the music you love? With an iPod or other mp3 players, it’s a breeze to create a playlist and listen to the tracks you want, be they in order or at random. Roku lets you stream Netflix, Hulu and hundreds of TV channels via the Internet. Setting up a Roku device takes only minutes, and it’s got more options than cable or satellite TV. So if you’re after some RV entertainment, this will do just fine. Portable fans keep you cool if the A/C isn’t working. It is also a nice alternative if you want some air but find an A/C too cold. The good news is portable fans are a dime in a dozen so you’ll find one that is appropriate for your RV. Solar panels ensure your batteries are fully powered up so you’re not caught unprepared when camping. These kits re bundled with the amp controller, cable, carry case and the other hardware necessary to set the whole thing up. A smart RV monitors your RV’s battery life and movement, and you can use it to share information with friends. A notification is sent out if your RV moves without your consent or if there is a low battery. It even has a journal where you can keep track of all the places you’ve been to. LED light last for thousands of hours and are more affordable than the halogen fund in regular RVs. LED bulbs also don’t use as much energy as other light fixtures so it Is a money saver too. Laptops today last longer than ever, but an AC/DC charger allows you to use it without draining the battery. Watching movies, videos and multitasking on a laptop takes a lot of power, so a charger is a must. An electric griddle saves propane and allows you to prepare a lot of food without taking up too space. Combine the griddle with removable plates and you’ve got the right mix for making waffles. If you’re camping, you’ll need some bright exterior lights for safety and security. These lights are easy to install and widely available online. The number of lights to install depends on the size of your RV, but you can never have too many. Yes, an electric fly swatter. And why not, as it’s no fun to eat while insects and bugs pester you. A fly swatter may not seem important until these pests start getting in the way of your meals. You can avoid that by having this around. You can use a portable fire pit in many parks both private and national. it’s easy to make one or buy a ready made unit, it’s up to you. Just like with anything that involves fire, be careful when handing a fire pit and follow all the directions. Hopefully this list of the best RV gadgets was able to help you. By equipping your rig you’ll be ready for to roll anywhere.